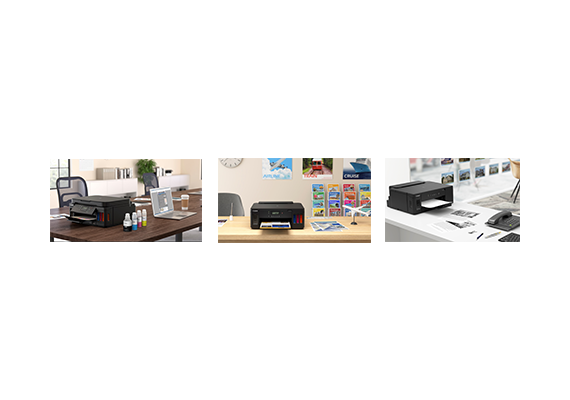 Singapore, 14 November 2018 – Canon today announced its smallest photo printer that uses no ink for printing and even prints upside down. The Canon Mini Photo Printer celebrates every precious memory captured and stored in smartphones with a bold dash of personality and style. 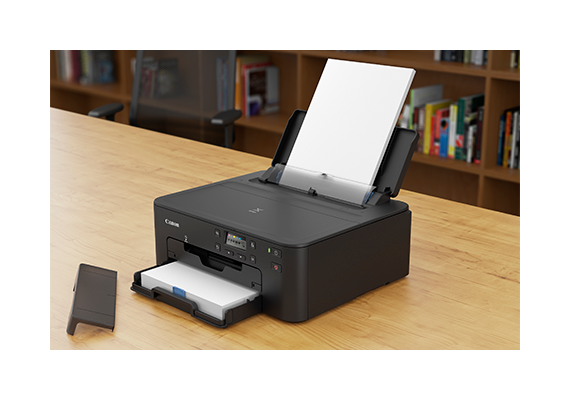 The Canon Mini Photo printer harnesses ZINK Zero Ink™ Technology from ZINK™, a revolutionary dry-printing technology that enables printing in colour without the use of ink cartridges. It delivers 2x3-inch glossy photo prints that are smudge-proof and scratch-resistant, with a peel-and-stick reverse side that adheres effortlessly to the back of smartphones, laptops, tabletops, wall mirrors, or just about any smooth surface. Weighing a mere 160 grams, the slim and compact size of the Mini Photo printer fits into pockets, purses, long wallets and jackets easily. A built-in battery ensures true mobility without the need for the device to be attached to a power outlet. Bluetooth pairing is conveniently activated by depressing a button located at the side of the printer. Full operation does not require devices to be arm-locked in the vicinity of a secure wireless network. 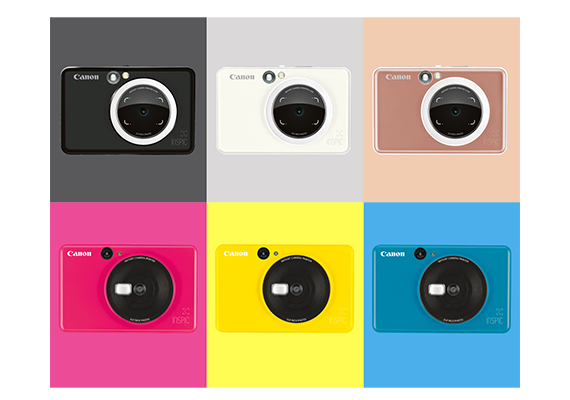 The beautiful colour baseplates and dove-white two-tone design simplicity gives little hint to the varied, unbridled fun possible once the printer jumps to attention via the Canon Mini Print app, available for iOS and Android OS devices. Users can snap a photo through the in-app camera integration to begin with, or retrieve the photos from a variety of online albums, including Facebook, Instagram, Google Drive, and Dropbox. The app features an extensive library of photo-editing tools, creative filters, photo frames, creative stamps, and text boxes that add layers of expressiveness to the most ordinary of snapshots. Together with enhancements such as augmented reality (AR) face distortion and the option to draw on artwork before printing. For occasions where 2x3-inch images will simply not do, the app also offers collage printing of up to four images, or a tile print function that creates an enlarged print made up of four or nine prints. The Canon Mini Photo Printer is available in Slate Grey3, Rose Gold3 and Mint Green3 and the box configuration includes the printer body, a starter pack of ten sheets of photo paper and a charging cable. 1 Mini Photo Print app is free for download on the Apple App Store and Google Play Store and is compatible with Android 5.1 and later, iOS 10 and later. 2 Estimated retail price and is subject to change at any time without notice. 3 Printer colour is found only on baseplates with printer top cover in white. Canon is a global leader in photographic and digital imaging solutions. Canon Singapore Pte Ltd is the headquarters for South & Southeast Asia driving sales, marketing and service strategies. Besides handling the domestic market, the company leads 18 other countries including subsidiaries in India, Malaysia, Thailand and Vietnam. The parent company Canon Inc has a global network of more than 300 companies and employs close to 200,000 people worldwide. It is dedicated to the advancement in technology and innovation and commits more than 8% of its total revenue each year to R&D. Canon is consistently one of the top few companies to earn the most number of patents over the last 20 years. As a Fortune Global 500 company, Canon is guided by its kyosei philosophy that focuses on living and working together for the common good.